Randall Cobb was born as Randall Ladonald Cobb II on the 22nd August 1990 in Maryville, Tennessee USA, and is a professional American Football player, who has played wide receiver in the National Football League (NFL) for the Green Bay Packers since 2011. Cobb has appeared in one Pro Bowl in 2014 and was selected to the PFWA NFL All-Rookie Team in 2011. His career started in 2011. Have you ever wondered how rich Randall Cobb is, as of early 2017? According to authoritative sources, it has been estimated that Cobb’s net worth is as high as $4 million, an amount earned largely through his successful career as a pro football player. 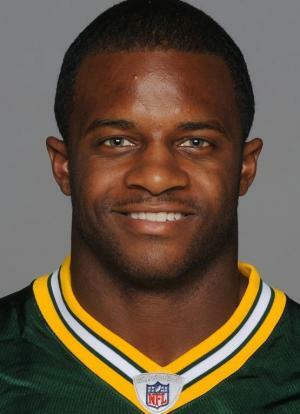 Randall Cobb is a son of Tina and Randall Cobb Sr. who both worked at the Denso car parts factory. He went to Alcoa High School, where he participated in football, basketball, and track and field, and played both offence and defense, but excelled as a quarterback. Cobb later studied Community Communications and Leadership Development at the University of Kentucky, played football too, scoring 32 touchdowns, plus becoming the first Kentucky player who scored passing, rushing and receiving touchdowns in one game since Shane Boyd in 2003. The Green Bay Packers selected Cobb as the 64th overall pick in the 2011 NFL Draft, and he became the first person born in the ‘90s to play in an NFL game. He got into the NFL All-Rookie Team thanks to excellent performances with special teams, as he had 34 kick returns for 941 yards and a touchdown, and 26 punt returns for 295 yards and a touchdown. Cobb also recorded 25 catches for 375 yards and a score. In the following season, Randall set the Packers record with 2,342 combined yards and led the NFL in that category that year. He had 80 receptions for 954 yards, eight touchdowns, and a career-high four fumbles. In 2013, Cobb appeared in only six games because of a broken fibula, but the next season was his most successful as he recorded 91 receptions for 1,287 yards and 12 touchdowns, and earned his first invitation to the Pro Bowl. In March 2015, Randall signed a four-year $40 million contract extension with the Packers, with $17 million guaranteed to stay with the team. He ended the season with 829 receiving yards on 79 catches, and had six touchdowns. In 2016, Cobb and the Packers played in the NFC Championship game but lost to the Atlanta Falcons, and he posted 641 yards on 60 receptions with four touchdowns, while in the postseason, Randall had 18 receptions for 260 yards and three touchdowns. Regarding his personal life, Randall Cobb’s most intimate details such as marital status and the number of children are unknown, as he successfully manages to keep them out of the public eye. Parents Tina Cobb, Randall Cobb Sr.
1 Cousin of Shannon Mitchell. 2 Played football at the University of Kentucky (quarterback and wide receiver), 2008-2010. 3 Selected by the Green Bay Packers in the 2nd round (64th overall) of the 2011 NFL draft. 4 Wide receiver with the Green Bay Packers, 2011-present.